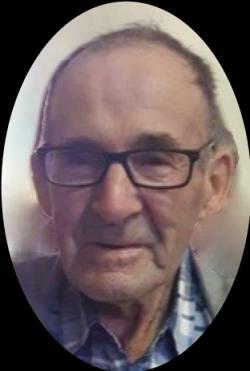 The death occurred peacefully at the Palliative Care Unit of the Western Hospital, Alberton, on Tuesday, April 2, 2019, of Kevin Fidele DesRoches of Tignish, aged 84 years. Beloved husband to Marie (nee Arsenault) DesRoches. Born at Tignish on February 21, 1935, he was the son of the late Peter J. and Delima M. (nee Bernard) DesRoches of Tignish. Loving father to Glen (deceased September 18, 2018) (Lorna), Blair (Jenny) DesRoches of Tignish, Cheryl DesRoches of Tignish, Matthew (Lorna) DesRoches of Alberton, and JoAnne (Rodney) MacLean of Huntley. Cherished grandfather to Shauna, Candace, Logan, Madelyn, Layla, Shannon, Sheldon, Lucas, Kyla, Taylor, Mitchel, Joey, Matthew Glenn, Olivia and Rachel. Dear brother to: Aldona Hall of Connecticut, Mae Gavin of Ontario, Joseph DesRoches of Summertime, Jackie (Mary) DesRoches of Tignish, Sonny DesRoches of Summerside, Alfred DesRoches of Tignish, and Bobby (Claudette) of North Bay, Ont. He was predeceased by a sister Catherine. Resting at the Rooney Funeral Home and Chapel, Alberton, for visiting hours Thursday, 6:00 to 7:00 p.m. for family and 7:00 to 9:00 p.m. for the public. Funeral will be held Friday morning from St. Simon and St. Jude Church, Tignish for funeral Mass at 10:30 a.m., Rev. Albin Arsenault, Celebrant. Interment later in the church cemetery. As an expression of sympathy memorials to Hospice PEI or St. Simon and St. Jude Building Fund would be gratefully appreciated.